Imagine you are in a hurry to get a load of laundry out of the washer and into the dryer before racing off to pick up the kids from school. Jogging down the stairs you turn the corner into the laundry room. It takes a couple of seconds to register what you’re seeing. Water is pouring from the washing machine, flooding the laundry room floor and pooling in the carpet at the door of the rec room. In panic mode you scramble to turn off the water, soaking your socks in the process. A complete mess. If you have ever experienced water damage in your home, you know just how stressful the situation can be. 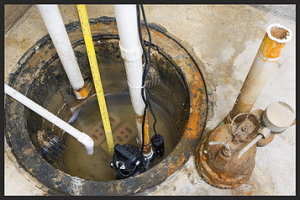 Whether it’s a toilet overflow, a broken pipe or a flooded basement from heavy rains, it never comes at a convenient time and is oftentimes overwhelming. 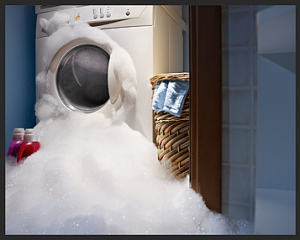 While there is only so much you can do to prevent water damage from happening, knowing how to respond can make a big difference in your personal safety. When you come across water damage in your home or business you need to be able to quickly identify where that water came from. Is it contaminated toilet water, or clean water from a sink overflow or a broken water line? Could it be water from a storm? -You could be walking into a contaminated water source without even knowing it, which puts your health at risk. -If it is contaminated water, walking through it in your socks or bare feet would be dangerous and might cause an illness. 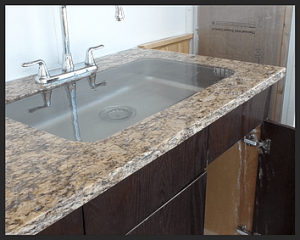 -When you Call A&J Specialty Services, Inc. DKI and we know what type of water it is, it will help us prepare for the way we respond. -Our trucks are always stocked with the proper safety gear, to protect our technicians, but knowing what to expect when we arrive will ensure the fastest response time. Now that we have made the case for identifying what type of water is causing the damage in your home or business, let’s look at what they are. The Institute of Inspection Cleaning and Restoration Certification, IICRC, puts the type of water loss into three categories. Category 1: Water from a clean and sanitary source. Category 2: Sometimes referred to as grey water, this water is contaminated to a point where it could cause illness if ingested. Category 3: This category of water is grossly unsanitary and hazardous. If ingested it could cause serious illness or death. If you are not exactly sure what the source of the water is, take every precaution and wear rubber boots and gloves if you must come in contact with the water. When you call for help, explain what you see and what you think the source may be. A&J technicians will know how to advise you and how to respond. It’s a good rule of thumb to stay out of the water until professional technicians arrive. If you have questions, give us a call at 800-727-8990 or click the link to contact us.